Here is a chance for you to get started in this fun and exciting hobby. 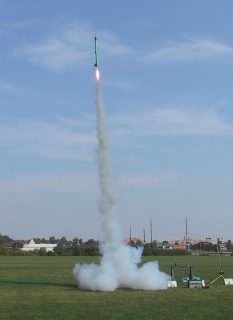 If you've flown model rockets in the past and are interested in flying some of the larger rockets that are now available we will be holding a session on medium and high power rocketry on September 3, 2019. This presentation is intended for those 16 years of age or older. We will talk about and answer questions on what is involved in getting started with larger rockets and motors. If you've been flying model rockets for a while and are interested in moving up to something larger you should definitely come to this meeting! This event is Free! and open to all. How do you know if you have a big rocket or not? Here is a list of ways to tell if your rocket is too big.